Nova Scotia Crime Stoppers – Page 3 – Remember Crime Stoppers wants your information, not your name. 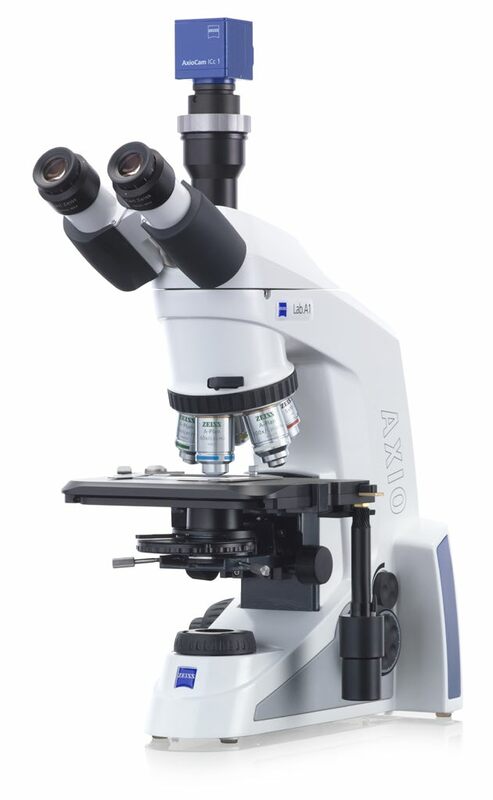 Police are asking for the public’s assistance in relation to the theft of a microscope that was stolen from Dalhousie University. On March 1, police received a report of a theft that had occurred at the from a lab in the Life Sciences Building at Dalhousie University in Halifax. On February 29, between 7:45 p.m. and 10 p.m., a Zeiss AxioLab A1 FL-LED microscope valued at over $30,000 was stolen along with a laptop computer. Anyone with information in relation to the theft is asked to call police at 902-490-5016. Anonymous tips can be sent to Crime Stoppers by calling toll-free 1-800-222-TIPS (8477), submitting a secure web tip at www.crimestoppers.ns.ca or by using the P3 Tips App. March 11, 2019, Dartmouth, Nova Scotia . . . March is Fraud Prevention Month and the Nova Scotia RCMP want to help you recognize, reject and report fraud. Every year, thousands of Canadians fall victim to fraud, losing millions of dollars. Most don’t think it could happen to them, but fraudsters use sophisticated ways to target people of all ages. According to the Canadian Anti-Fraud Centre, Nova Scotians lost $375,476.87 to fraudsters in 2018. Scammers capitalize on the vulnerability of those looking for love or companionship to extract significant amounts of money from victims. Scammers come up with new reasons why you urgently need to pay them money. Scammers sell fake, imitated or poor quality products and advertise them at low prices so the victim thinks they’re getting a good deal. Scammers pose as online buyers and trick the seller into taking their merchandise, money, or both. Scammers pretend to represent a well-known computer based company and claim the victim’s computer has viruses, or has been hacked, and must be cleaned. The victim pays for a service that was never needed. The Romance scam has continued to be the number one scam affecting Nova Scotians for the past three years for both the general population and seniors specifically. March 12, 2019, Liverpool, Nova Scotia… Liverpool RCMP is investigating a matter which involved a suspicious person who is alleged to have approached a young girl last month at a school in Liverpool. The matter was reported to Liverpool RCMP on March 6. Police were told that between February 1 and February 14, a man approached an 8-year-old girl outside the entrance to Dr. J.C. Wickwire Academy. He offered her toys and candy, and she was not hurt. Police are not able to provide an exact description at this time, however the girl has described him as a tall man with a deep voice, and that he may have been wearing a colourful costume. The RCMP is working with the school to review surveillance video and determine the identity of the individual. Police would like to advise members of the community that they have not had any other similar complaints in the area, and they are working with the school staff to ensure the safety of the students. Anyone with information about this incident, or anyone who has concerns about suspicious activity in the community, is asked to contact Queens District RCMP at 902-354-5721. Should you wish to remain anonymous call Nova Scotia Crime Stoppers toll free at 1-800-222-TIPS (8477), submit a secure web tip at www.crimestoppers.ns.ca, or use the P3 Tips App. Investigators with the General Investigation Section of the Integrated Criminal Investigation Division are investigating the theft of an RCMP service pistol from downtown Halifax. On March 9 between 7:40 p.m and 9:30 pm, an off-duty RCMP officer’s firearm was stolen from their personal vehicle in the 5100 block of Granville Street in Halifax. Also taken were three magazines and ammunition. The firearm is described as a silver 9mm Smith & Wesson model 5946 pistol with an RCMP logo showing “RCMP”, a silhouette of a horse and rider and “GRC” inscribed on the right side of the slide. The magazines are also silver. 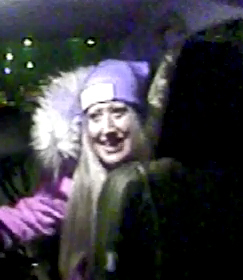 Halifax Regional Police request the public’s assistance to identify a person of interest, believed to be involved in frauds that occurred in Dartmouth. On January 16, police received a report of a fraud that had occurred in the 200 block of Wyse Road in Dartmouth. Investigators believe that the suspect had used stolen cheques to make multiple fraudulent transactions starting in December of 2018. The suspect is described as a heavy-set white woman, approximately 5’4” to 5’6” tall, 30 to 40-years-old and has shoulder length blonde hair. Investigators are asking anyone who has information on these incidents or the identity of the woman to call police at 902-490-5020. Anonymous tips can be sent to Crime Stoppers by calling toll-free 1-800-222-TIPS (8477), submitting a secure web tip at www.crimestoppers.ns.ca or using the P3 Tips App. Halifax Regional Police is requesting the public’s assistance to identify the driver involved in a motor vehicle collision that occurred today in Dartmouth. At approximately 8:45 a.m. police responded to a motor vehicle/pedestrian collision at the intersection of Wyse Road and Boland Road in Dartmouth. The pedestrian, a 23-year-old Dartmouth man, was crossing Boland Road in a marked crosswalk when he was struck by a vehicle turning right from Wyse Road. The pedestrian was taken to hospital for precautionary measures. The vehicle did not stop at the scene. The vehicle is described as a red four door Toyota Corolla. 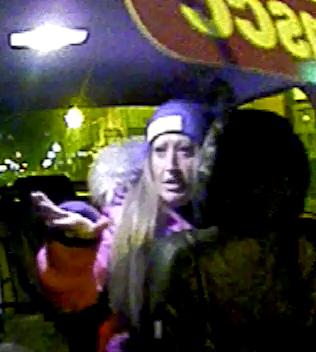 The driver is described as a white woman, in her 40s or 50s, with curly, shoulder length brown hair. Police are asking the driver or anyone who has information about this incident to call police at 902-490-5020. Anonymous tips can be sent to Crime Stoppers by calling toll-free 1-800-222-TIPS (8477), submitting a secure web tip at www.crimestoppers.ns.ca or by using the P3 Tips app. Two men and two women from Dartmouth face prostitution and human trafficking charges after an investigation by the Special Enforcement Section of the Integrated Criminal Investigation Division. On February 26, investigators commenced an investigation regarding a man who directed and influenced two women, ages 21 and 22, for the purpose of prostitution. Two women and a man were arrested without incident last night at an apartment in the 0-100 block of Roleika Drive in Dartmouth and all were held in custody overnight. A 25-year-old man was arrested today at the Dartmouth Provincial Courthouse. Human trafficking is an offence that involves controlling, forcing, intimidating or deceiving a person in order to exploit them through various forms of sexual exploitation or forced labour. This crime can happen in communities of all sizes and unfortunately Halifax is not immune. If you have any information pertaining to this case or other potential human trafficking matters, please call 902-490-5020 or anonymous tips can be sent to Crime Stoppers by calling toll-free 1-800-222-TIPS (8477), submitting a secure web tip at www.crimestoppers.ns.ca or texting a tip – Tip 202 + your message to 274637. Police files 19-29591 / 19-31003 refer. March 7, 2019, Oxford, Nova Scotia . . . Cumberland District RCMP have obtained a warrant for the arrest of a man who has been charged with several offences recently in Cumberland County. 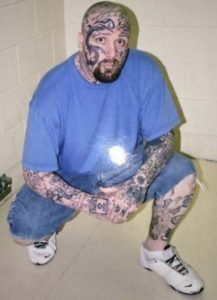 Barton is a white male, 6-foot-1 and 270 pounds, and has a shaved head and blue eyes. 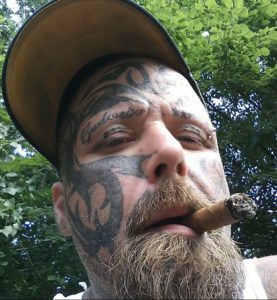 He has tattoos on most of his body, including his face. The charges are in relation to a recent theft of a volunteer firefighter’s vehicle while he was stopped to provide assistance to Barton, who was involved in a collision with a vehicle that he is alleged to have stolen earlier that day. Police have not been able to locate him, and are requesting assistance from the public. On March 5th at 8:18pm members of the Halifax Regional Police East Division Quick Response Unit attempted to stop a vehicle in the area of Marilyn Dr, Dartmouth. When the vehicle stopped the three occupants of the vehicle fled. The area was searched but the three occupants could not be located. The vehicle was searched and drugs and a firearm was located. A description of the occupants of the vehicle could not be obtained. The investigation into the incident continues and anyone with information is asked to contact Halifax Regional Police 902 490 5020 or Crimestoppers at 1-800-222-8477(TIPS). Police file number 2019-33107 refers. On March 5th at 8:18pm members of the Halifax Regional Police East Division Quick Response Unit attempted to stop a vehicle in the area of Marilyn Dr, Dartmouth. When the vehicle stopped the three occupants of the vehicle fled. The area was searched but the three occupants could not be located. The vehicle was searched and drugs and a firearm was located. A description of the occupants of the vehicle could not be obtained. The investigation into the incident continues and anyone with information is asked to contact Halifax Regional Police or if you wish to remains anonymous, you can call Crime Stoppers toll-free 1-800-222-TIPS (8477) or by using the P3 Tips App.